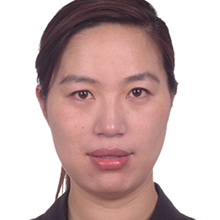 Dr. Xu Yunyun is the Chief Medical Officer at Comper Healthcare, which is dedicated in the artificial intelligence application and smart devices R&D in the healthcare scenarios. Also, Dr. Yunyun is in the position of director in Men’s Health for the last 10 years and since 3 years as doctor of obstetrics and gynecology in Beijing Union Medical College Hospital. Previously, Dr. Yunyun translated “DK The Pregnancy Encyclopedia” and she is an active science writer.